I don’t know what side of the fence you are on in response to the miracle question. You might argue that God miraculously heals people today. I have actually witnessed God’s healing power within my own family. You might also be reading this and think, I have never seen God heal anyone and you might think God doesn’t do miracles anymore. When we ask the question “Does God still do miracles?” we need to also realize that each and every person who has committed their lives to following Jesus is a miracle. The reading today from Romans explains that nothing can separate us from the love of God. Each person that is a follower of Jesus is someone who was lost in darkness and came into God’s redeeming light. We were lost and Jesus found us with his unstoppable love. One of the greatest miracles Jesus has done is to take a life that was broken and make it whole. If you feel like you have never seen God perform a miracle, perhaps there is one in front of you every time you look in the mirror. God may we live in response to the miracle of your redeeming love. May our lives point others to you. Continue to transform us into the children of light you call us to be. 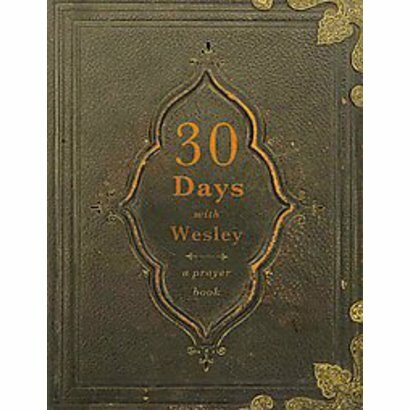 This entry was posted in Books, Spiritual Formation and tagged Bible, Book of the Month, Christianity, Devotional, forgiveness, John Wesley, Miracle, Psalms, Romans, Scripture, Spiritual Formation, What I am reading. Bookmark the permalink.